Established since 2001, Tay Motor & Credit have definitely demonstrate their sure-footedness in a vastly competitive industry specializing in sale of new and used motor vehicles. With years of expertise and tip-top service standards, they are one of the few CaseTrust and SVTA accredited car dealer. 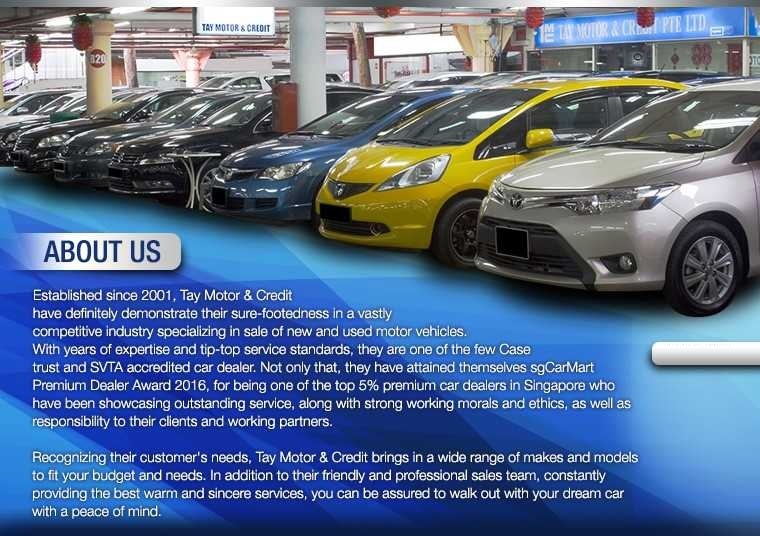 Not only that, they have attained themselves sgCarMart Premium Dealer Award 2016, for being one of the top 5% premium car dealers in Singapore who have been showcasing outstanding service, along with strong working morals and ethics, as well as responsibility to their clients and working partners. 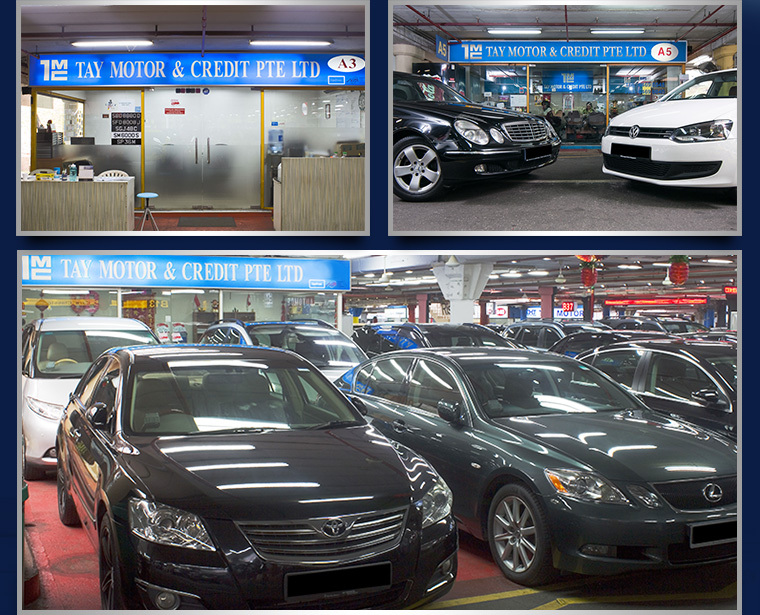 Recognizing their customer's needs, Tay Motor & Credit brings in a wide range of makes and models to fit your budget and needs. In addition to their friendly and professional sales team, constantly providing the best warm and sincere services, you can be assured to walk out with your dream car with a peace of mind.